Whether your house is old or new, the last thing you need is a leaky roof. Scenic View Roofing LLC provides roof repair services around the clock. We’re your fully licensed roofing professionals serving Lancaster and Chester County, Pa. We believe that the number one cause of roofing damage is lack of maintenance. An initial kink or problem that is ignored can rapidly spread across the roof which is why if you are experiencing any kind of roofing issue, we encourage you to call us! Continuous weathering via rain, hail, ice and wind will have an eventual toll on even the sturdiest of roofs. However, improper assembly and poor roofing design choices can also exacerbate roofing problems exponentially. Our roof damage repair specialists strive to provide the best roofing repair service in Lancaster County and surrounding areas. 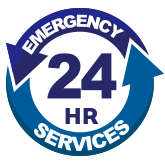 Dedicated, innovative, experienced, and educated roofers can be at your location in as little as 24-hours. We take immense pride in the happiness and comfort that their roofing services provide for our clients. Scenic View Roofing LLC provides several roofing services at very affordable rates. You get a lifetime warranty on our roofing shingles as well as work directly with a GAF Certified Roofing Contractor. At Scenic View Roofing LLC, haste equals waste. We will always consult you on the materials, costs, and estimated repair time before any repairs are initiated. Our flexibility and reliability help makes us the top choice for homeowners and business owners in the area. No matter the type, slope, or size of the job, our contractors are experts in repairing even the most complicated roof damage. 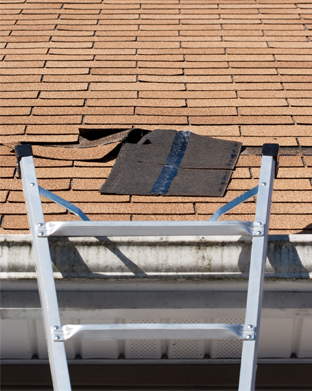 We can even help in filing insurance claims for roof repairs or replacements! The roof repair team at Scenic View Roofing LLC are dedicated to providing the best possible service quickly-without breaking the bank. Please contact us today to schedule your roofing repair and installation needs and we guarantee we will not leave you disappointed. Scenic View Roofing LLC consists of a highly trained team of dedicated roofing professionals that can perform a routine maintenance check-up on your industrial or commercial roof to ensure that everything is up to speed. Furthermore, we will work around your schedule to ensure that our inspections are done at a convenient time for you with minimal disruption. We will also ensure that roofing costs are kept to a minimum. If you enjoy having top-of-the-line products implemented in your roof repair, contact our team! A routine roofing maintenance program can increase the life of your roof significantly! While some may claim that annual roofing maintenance programs will cost more in the short term, we can assure you that roofing costs will be more if negligence leads to roof failure or complete roof collapse due to a small problem that quickly spread across the roof, especially in commercial situations. In effect, a complete roof rehaul is something you want to avoid at all costs due to the time, money, and inconvenience problems it causes. We believe that customer delight breeds customer loyalty and we always place our customers first. Please do not hesitate to contact Scenic View Roofing LLC for your roofing maintenance needs.